Malta has the highest concentration of birds killed per square kilometre in the Mediterranean but totals are nowhere near those of neighbouring countries, a study found. The island’s small size means that about 340 birds are killed illegally for every square kilometre, according to a Birdlife International study on bird hunting in the Mediterranean region entitled ‘The killing’. The average 108,000 birds killed illegally ever year in Malta pales when compared to the millions killed in other Mediterranean countries. In fact, Malta was not in the top 10 list of Mediterranean countries in terms of most bird kills. 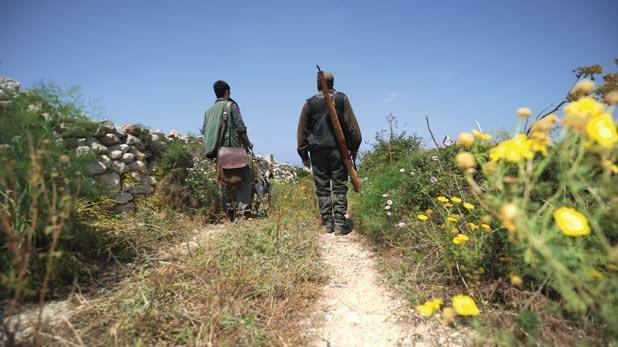 The concentration in Italy is 20 times lower, with just 19 birds shot illegally per square kilometre. But the study, based on a research paper by renowned zoologist Anne-Laure Brochet, found that 5.6 million birds are killed in Italy. The same is true for Egypt, where roughly the same amount is killed, as well as Syria and Lebanon. The study found that the island’s 316 square kilometres are inhabited by at least 31 hunters per square kilometre, all vying to take down one of the 20 regularly breeding bird species. France, on the other hand, has an area of 547,030 square kilometres, only two hunters per square kilometre and nearly 300 regular breeding bird species to choose from.